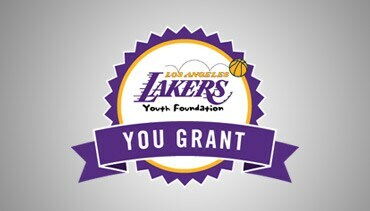 The Los Angeles Lakers Youth Foundation is a registered 501(c)3 organization and the official team charity of the Los Angeles Lakers. The Foundation’s mission is to help underserved youth develop their potential by providing positive experiences and resources in education, health and wellness, and sports. The Foundation also awards grants to other charities that support youth through direct services and programs in these areas. 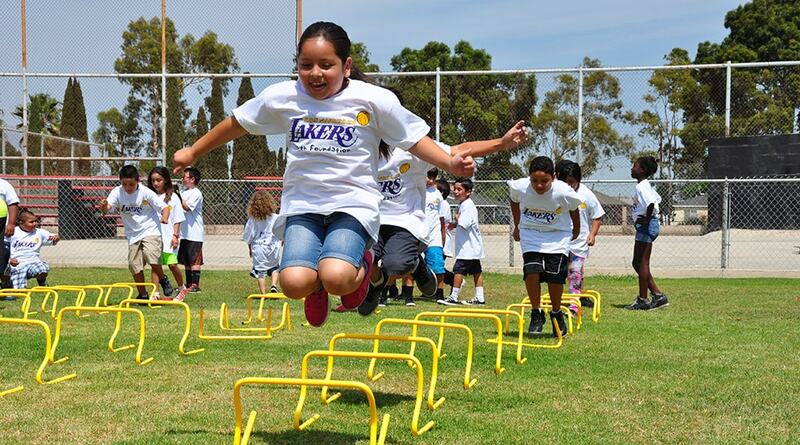 The Lakers Youth Foundation administers Quarterly Grants for nonprofit organizations. Deadlines: March 15, June 15, Sept. 15 and Dec. 15. The YOU Grant is voted upon by the fans. Nonprofits are nominated for specific YOU Grants throughout the year. 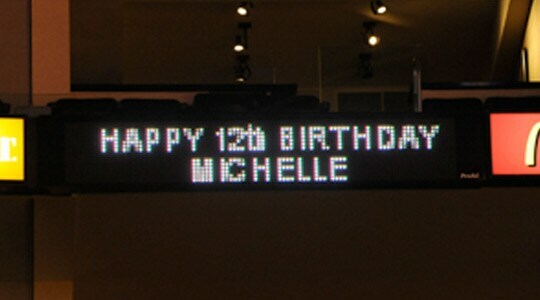 You may post a Welcome, Happy Birthday or Happy Anniversary message on the DASH Boards during a Lakers home game. The Los Angeles Lakers host annual charity golf tournament, presented by Mir Audio and Video, at Riviera Country Club in Pacific Palisades, CA on April 9, 2018. The Los Angeles Lakers announced that they will make a $100,000 donation to the American Red Cross to assist in the relief efforts for victims of the recent devastating fires in California. The Los Angeles Lakers announced that they will make a $100,000 donation to the American Red Cross to assist in the relief efforts for victims of Hurricane Harvey. 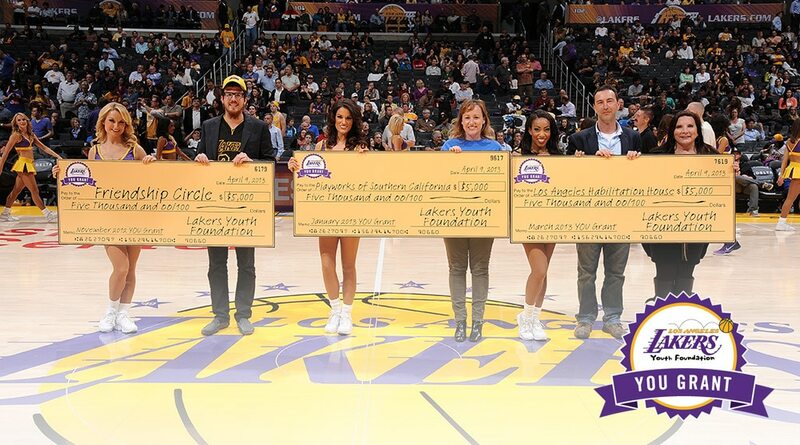 Check out which nonprofit organization were voted YOU Grant winners by Lakers fans! Tuesday, October 10th, marked the conclusion of a series of three basketball clinics held at STAPLES Center in Los Angeles, Honda Center in Anaheim, and the Citizens Business Bank Arena in Ontario as part of the 2017 Hoops for Troops program. The Los Angeles Lakers host annual charity golf tournament, presented by Mir Audio and Video, at Riviera Country Club in Pacific Palisades, CA on March 27, 2017. 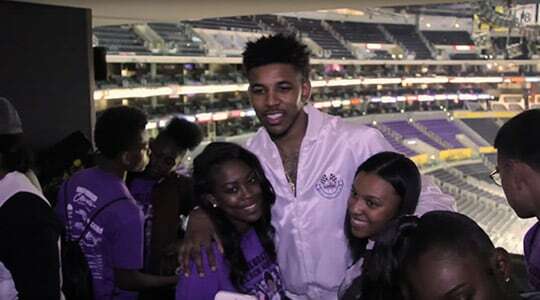 Nick Young teamed up with AEG and the Lakers Youth Foundation to bring in two youth based non-profits for a VIP Lakers game experience during his annual Black History Month celebration. Lakers and Pechanga Resort & Casino have joined forces to create the “Hoops for Troops” program. 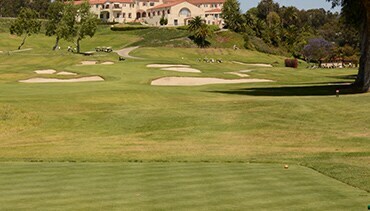 Lakers held their annual golf tournament, which raised over $400,000 for the Lakers Youth Foundation. 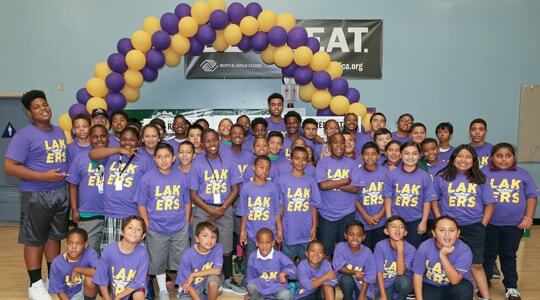 Lakers Legends help local schools kick off the Active Alliance program. 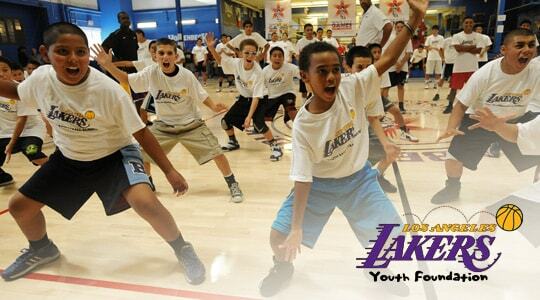 Lakers Youth Foundation unveils their court refurbishment contest winners for 2014. Frank Mariani-Jerry Buss No-Limit Hold 'Em Tournament Presented by WPT Foundation. Sports Court at Children’s Institute, Inc.